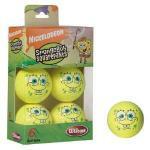 If it requires a ball, chances are Wilson Sports manufactures it. I don’t like to drop names, but the list of Wilson athletes include Derrick Rose, Tom Brady, Roger Federer, Serena Williams, Kerri Walsh, and Dustin Pedroia, from baseball and softball to football and soccer. Even volleyball, who can forget Tom Hank’s best friend when he was Cast Away? Of course Wilson Staff is the golf brand. The names are no less recognizable as the one and only Arnold Palmer. He managed to win a few tournaments with his famous Wilson 8802. Likewise Ben Crenshaw putted so well with it they called him Little Ben. Currently on the PGA Tour Ricky Barnes and Padraig Harrington wield Wilson irons. Padraig calls them the longest irons ever. I’ve always loved the classic look of Wilson Irons. 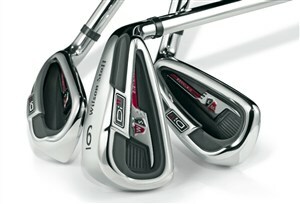 The FG Tour irons that the “sticks” play are not flashy or gaudy, but have a sleek sports-car look to them. 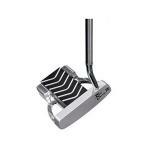 And they are more reasonably priced than the premium clubs of the other big name brands like Titleist and Mizuno. If you aren’t a single digit handicap you should probably steer clear. However, they have a nice selection of irons for the mid to high handicaps. One of their coolest inventions is the Fybrid Staff. They use technology from their baseball bats to build these clubs, putting graphite at the top of the shaft fused with steel towards the bottom. 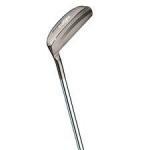 This gives you the feel of graphite in your hands, but the stability of iron at the clubface. 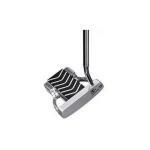 For a less aggressive game improving iron, take a look at the Staff Men’s Di11’s. They look a little more traditional, but the sweet spot is a whopping 36% larger than any other game improving iron that Wilson makes. This means a lot more distance for those off center hits, which sounds pretty good to me. If you drew a line from point A (the biggest, most forgiving irons on the market) to point B (the sleekest, most workable irons), right in the middle is where you'd find these Wilson Staff Di9s. You've arrived at the top of the food chain. If you are good enough to be browsing these sticks, then you really have no need for my goofball, silly remarks. Too bad -- you're stuck with me. I've found the missing link! No, not the link between man and apes, but the link between the big dog and your long irons. These Wilson Fybrids are a nice transition from your driver to your hybrids. These aren't quite hybrids, but they feel like them. This wedge utilizes space age polymers! It's has an "elastomeric" coating in the back which improves feel and provides a softer impact across the entire face. When it comes to drivers we've seen a lot of different shapes and sizes. How about a spine? I love it! When Tiger started playing, it definitely encouraged younger players to begin learning the game of golf -- but this is almost ridiculous, isn't it? But again... I love it!